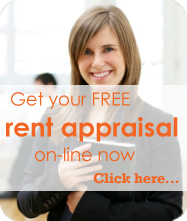 Don’t you deserve a better property management service? Did you know: every year 100’s of Sydney property investors like yourself are turning to us for a better property management solution. Why? because we can deliver a STRESS FREE property management solution with a unique money back service guarantee. How we’re Different? Unlike a local real estate agent who focuses all their energy on selling properties, for over 10 years we’ve specialised in property management only. And when all you do is manage property you get really good at it. Where do we service? We successfully manage properties throughout Sydney. Suburbs We Property Manage: Alexandria, Annandale, Artarmon, Ashfield, Balmain, Baulkham Hills, Bellevue Hill, Belmore, Bondi Beach, Beecroft, Bondi Junction, Burwood, Cammeray, Camperdown, Campsie, Canterbury, Carlingford, Castle Hill, Chatswood, Cherrybrook, Chippendale, Concord, Concord West, Coogee, Cremorne, Crows Nest, Croydon, Darlinghurst, Double Bay, Drummoyne, Dulwich Hill, Dural, Epping, Erskineville, Five Dock, Gladesville, Glebe, Greenwich, Homebush, Homebush Bay, Kensington, Kingsford, Kirribilli, Lane Cove, Leichhardt, Liberty Grove, Marrickville, Mosman, Neutral Bay, Newtown, North Parramatta, North Sydney, Northmead, Paddington, Parramatta, Petersham, Pennant Hills, Potts Point, Pymble, Pyrmont, Randwick, Redfern, Rhodes, Rozelle, St Ives, St Leonards, Stanmore, Strathfield, Summer Hill, Surry Hills, Sydney City, Turramurra, Thornleigh, Ultimo, Vaucluse, Wahroonga, West Pennant Hills, Waterloo, Willoughby, Wollstonecraft, Woollahra. © Copyright 2013 Strategic Property Management Services Pty Ltd. All Rights Reserved.